This brick Zoroastrian temple holds a fire that has burned for more than 1,500 years. The ancient flame has been kept alive throughout various centuries and relocations, and continues to burn today. 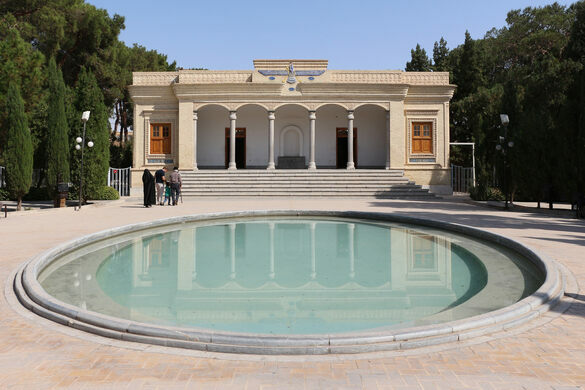 Long before air conditioning, Persian architects found an ingenious way to cool off. 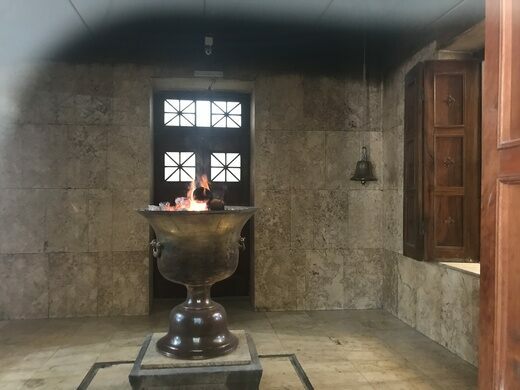 The flame is one of nine Atash Behrams (Fire of Victory), the highest grade of a fire held within a Zoroastrian fire temple. The fires are created from 16 “types” of fire. This particular flame is the only one located outside India. This fire has burned since 470, during the reign of the Sasanian Empire. The flame first flickered in the Pars Karyan fire temple, and was then relocated to the city of Aqda, where it burned for 700 years. The fire continued to move around over the years before finally landing in its current home in 1934. Today, the sacred flame burns within a bronze vessel and is protected by a glass wall. It’s kept alive by a person called a Hirob, who feeds the flame dry wood several times a day. 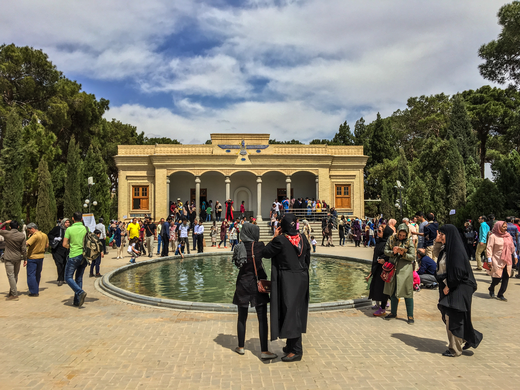 Next to the temple, you’ll also find a fruit garden, a photo gallery, and a water basement connected to qanats, underground aqueducts supplying drinking water. 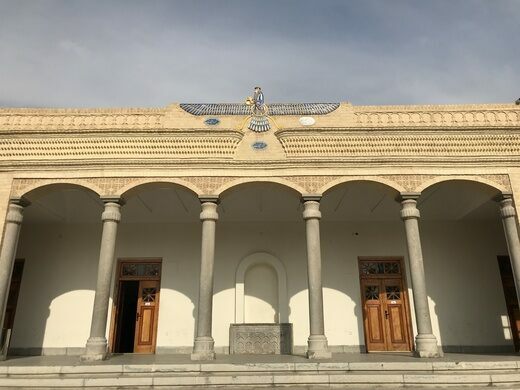 Non-Zoroastrians can enter the temple, but they are not allowed within the sanctum area that holds the fire. Ancient structures used to make and preserve ice in the deserts of Persia.